Rainstorm have long held the view that specialist application is equally important as our custom product range. 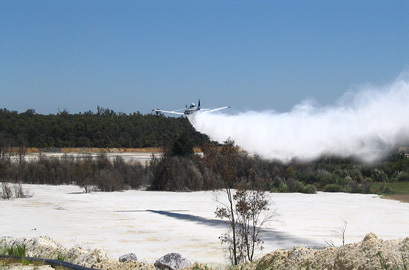 We are dust control experts, and support our products, in the field, by staff or actual application services. 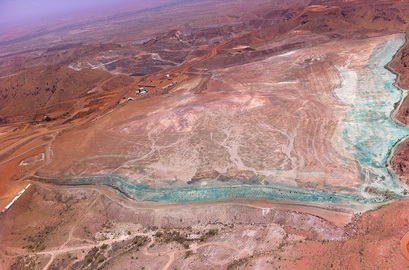 Our team has over 30 years of experience in the delivery of onsite services for dust control (including at isolated sites and remote mine locations) – full service delivery is our strength. Design. Build. Deliver. Install. Warranty. Rainstorm design, build, and install batching systems and dry fog systems. We offer a full range of equipment and custom product to suit every project, such as batching and tank farm systems and specialist on-road and off-road rigs. application procedures for site teams to handle dust control delivery. Rainstorm have effectively used aerial applications to veneer open areas, particularly isolated or difficult-to-access sites and sensitive areas requiring important environmental rehabilitation. 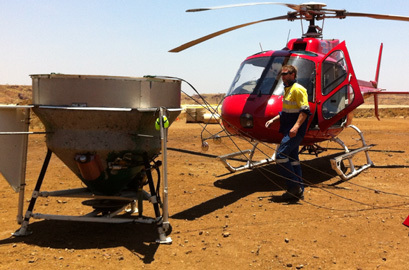 Aerial applications, using either fixed wing air tractors or our in-house air bucket with helicopters, are a fast and efficient method to achieve long term dust suppression.